With the Mars Curiosity rover’s science instruments working well, NASA engineers are getting ready for two big tests of their robotic rover — blasting a rock with a laser beam and getting the rover moving. 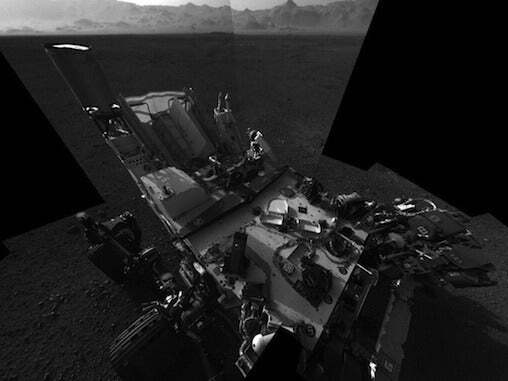 Curiosity’s first drive will be a very short one. Before the rover starts any meaningful trek across the Martian surface, scientists will first simply drive it forward and back in the landing area, to test the wheels and motor system, according to John Grotzinger, a project scientist with NASA’s Jet Propulsion Laboratory and a geology professor at the California Institute of Technology. Once the wheels are successfully tested, scientists will continue to plot out Curiosity’s first real trek, which will take it west toward an area NASA has dubbed Glenelg. It is expected to take the rover three to four weeks to reach Glenelg unless the rover encounters rocks or soil that scientists want it to stop and analyze. Once it reaches its first destination, Grotzinger said the rover will probably spend about two months analyzing that area. Toward the end of the year, NASA engineers will begin to have Curiosity move toward Mount Sharp, a three-mile high mountain in the middle of Gale Crater, where the rover landed. Mount Sharp is a primary area of interest for the scientists who are hoping to discover if Mars has ever been able to support microbial life. However, before the rover begins heading to Glenelg, scientists want to test its laser. 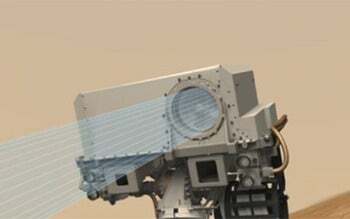 The laser, which is situated on top of the rover’s mast, is designed to break up rocks. The rover’s instruments will then analyze the resulting dust and vapor to see if the rock is interesting enough to study up close. To test it, scientists will instruct the rover to blast a rock just a few feet away from it, according to Roger Wiens, a scientist with the Los Alamos National Laboratory and a lead investigator on the Curiosity team. The rock itself is merely a target. Despite the rock being an easy target, scientists will still analyze it and add it to what they hope will be a burgeoning stock pile of new information about Mars. 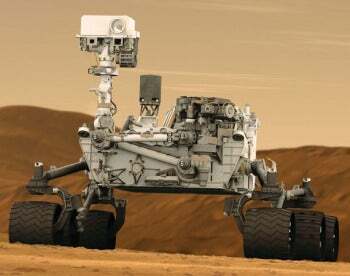 Curiosity, NASA’s super robotic rover, has been on the surface of Mars for about a week and a half. The car-sized, nuclear-powered robotic rover is on what NASA hopes will be at least a two-year mission. It is equipped with 10 scientific instruments and offers the most advanced payload of scientific gear ever used on the surface of Mars, including chemistry instruments, environmental sensors and radiation monitors.